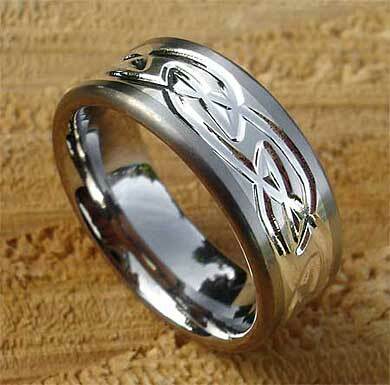 Celtic Inlaid Titanium Ring : LOVE2HAVE in the UK! 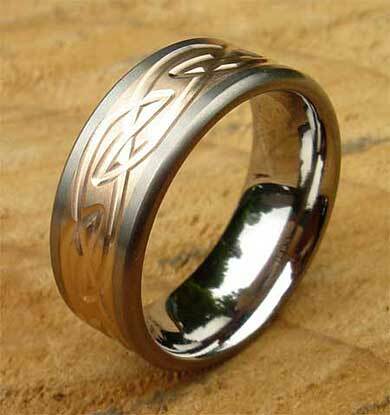 Here is a unique Celtic wedding ring as it combines a precious metal inlay with a Celtic style engraving that is all set within a titanium ring. 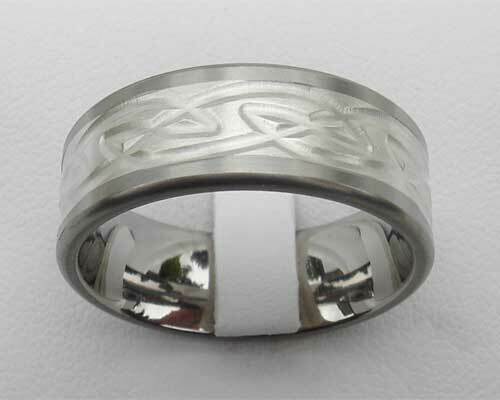 The engraved Celtic inlay comes either in sterling silver or rose gold and is quite thick and pronounced. The designer tells us that the silver is an anti-tarnish type, which helps it to retain its 'as new' finish for much more extended periods of time without staining. 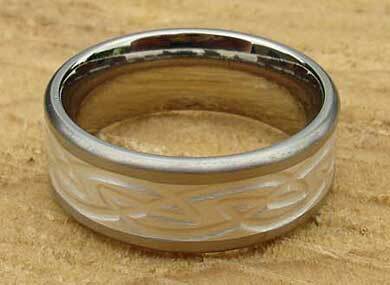 The ring measures 7mm in width, and the inlay is approximately 4mm wide. It comes with a flat profile, and the central inlay can be either polished or satin finished. Metal(s)/Material(s) Available: Titanium with silver or rose gold inlay.